This is my 2nd post for today. For Digi Doodle Shop's Best post please scroll down below. It's time for my very first Hero Arts Pairing Up Challenge. I was thrilled when I found out that I get to pair up with the talented Joy (joytaylor1975) & Robin ("card"rageous Robin). This week the three of us get to make a card that Robin picked from Joy's creations. Next week, we'll do a card that I pick from Robin's collection and for the final week, we'll do a card that Joy pick from my stash. 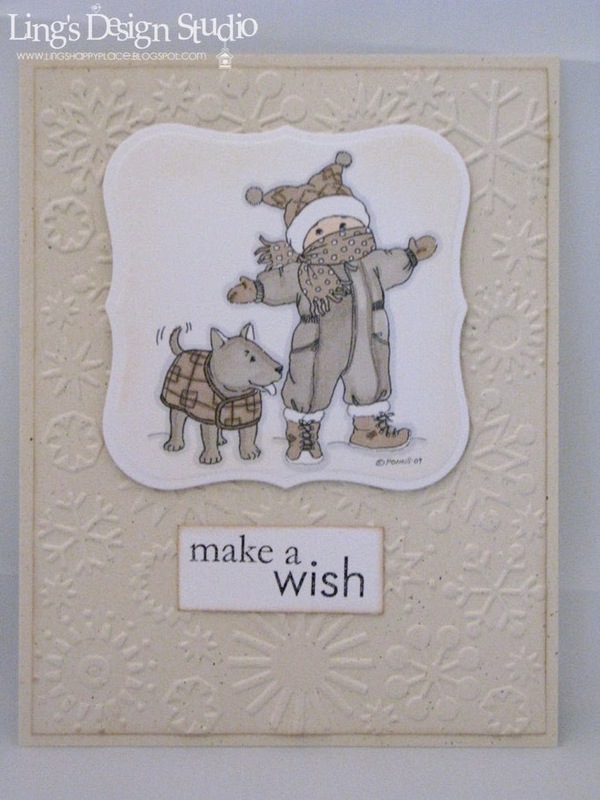 Robin chose this gorgeous card by Joy (flickr link here). I wish I have this gorgeous butterfly stamp. It's definitely on my wish list after seeing this card. I love the color combo that Joy used here. And it also make me step out of my comfort zone. Usually I find it hard to use the color purple, but with the guidance of Joy's card, I came up with this card. I am sending this card for the Heart to Heart Card Drive organized by the talented Carolyn King in honor of her grandmother's memory, who passed away in 2008 from complications of Alzheimer’s disease . As soon as I read about it, I knew right away I want to participate . Through this drive she want to honor and thank the silent victims of alzheimer---those who work every day so that someone they love (and sometimes someone they don’t even know well) can survive another one. Check out Carolyn's blog to read about her dear grandma and about the card drive. Six months ago I joined Digi Doodle Shop's Best design team and now we have come to the end of my term. I have decided to step down and I want to thank you to Judy and her mom for the wonderful opportunity to work with their beautiful designs. It's been a great experience & I know they will keep growing. Here's my card for this week "3-D" challenge. You can find out the challenge & prize detail here. For the top part of the barn, I layered it twice and the bottom part 3 times. 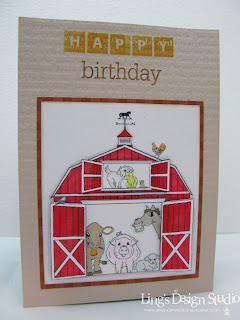 I thought the goat was so cute cuddling with the cat. .
Next, is my card for Embellish Background Stamping Color Challenge. Embellish always have fun challenge, but somehow I often miss it. I was determine not to miss this one. 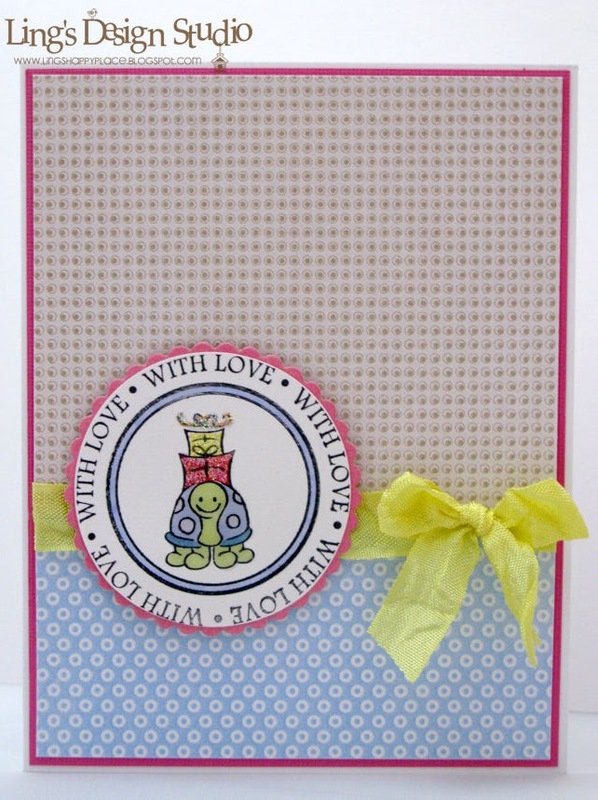 :) For this card, what took me the longest was arranging the letters on my acrylic block for the background. 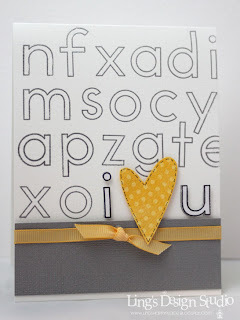 These alphabets are from Papertrey Ink Outlined Alphabet set. Embossed all the letter with silver embossing powder. For the "i" and "u" I stamped it again in black, embossed it, & popped it up. Add the heart shape. Also entering this for the Caardvarks clean & simple challenge. As I mentioned on my previous post, I am planning on doing Caring Heart card drive, with the mission of sending cards to the elderly who lives in nursing homes. Just a simple way to brighten their day & acknowledge that they still exist & people do care about them. This is something that my mom has suggested and I am inspired by Carolyn King's Heart to Heart Card Drive & Jennifer McGuire's Cards for Kids. I am finalizing all the details and instead of today, I will post the details and post it this Saturday, which happen to be World Card Making Day. Hi all, how are you all doing today? 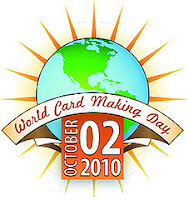 Are you ready to celebrate World card Making Day this weekend? As I mentioned on my previous post, I am considering doing a card drive. There are many elderly in nursing homes that are lonely and sometime forgotten, and my mom was mentioning how sad sometime the situation is when you stuck in nursing homes and don't get many visitors. A card could definitely brighten their day. I am going to offer some prizes to make it worthwhile your time. Would you be interested to join? Please leave a comment & let me know. Any support is much appreciated. :) I will post more detail later. Okay, on to today's card for MyGrafico. 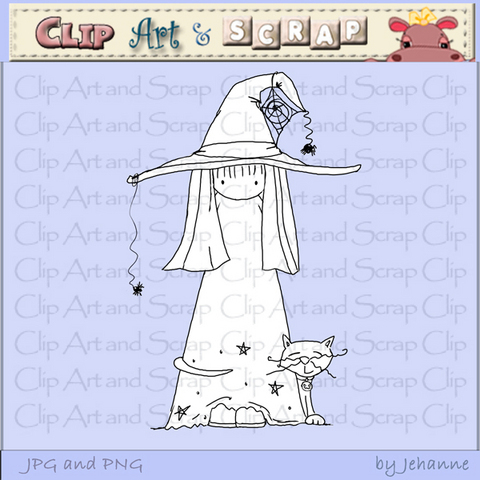 This week, the DT get to work with this super cute "Little Witch" from Clip Arts & Scraps. 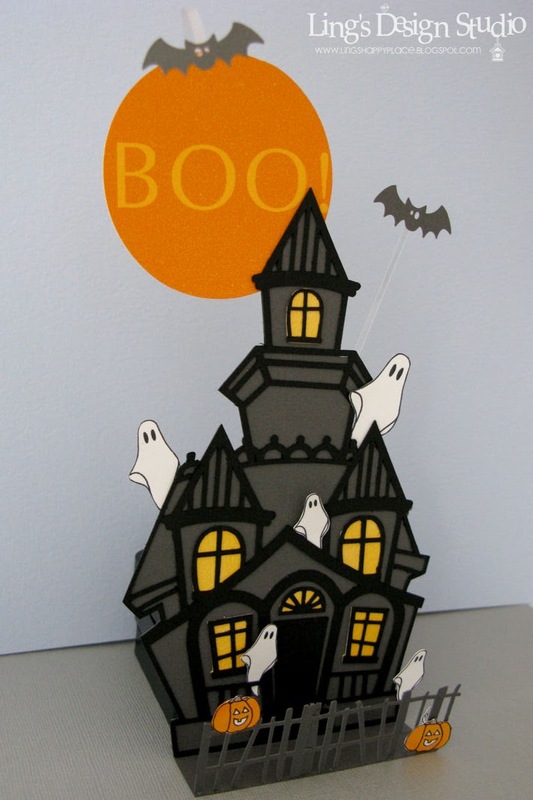 And the challenge is to make anything but a card. I decided to make a candy bag with Halloween coming up. 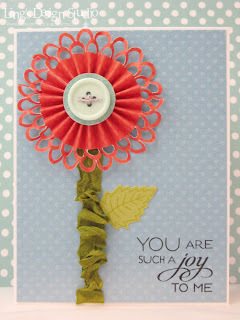 Check out MyGrafico challenge blog for challenge, prize detail, and eye candy from the other DT gals. 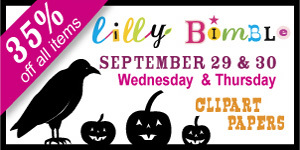 And before I forgot, there's also sale going on at MyGrafico, 35% off all Lilly Bimbl stuff. Thank you all for stopping by. Hugs, Vera. 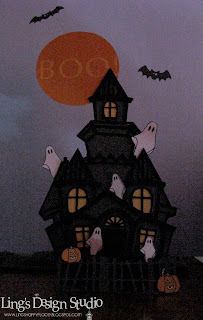 Usually, I don't really do Halloween decoration. I guess because we don't have any kids, yet and my neighborhood usually pretty quiet during Halloween. 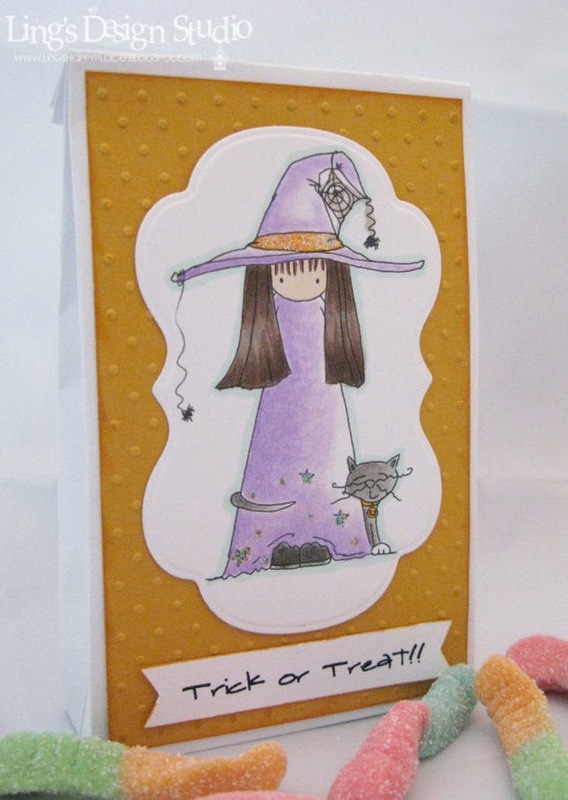 But, last week, I got this Happy Howl-loween set from Digital Doodle and the DT gals really inspired me to step up my game and create something besides cards. So, here we go. My very first Halloween table decor. All made with papers. 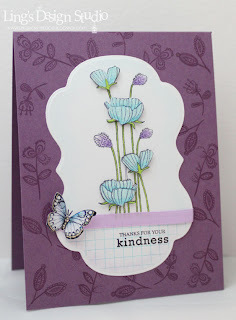 MFT Wednesday Stamp Club Challenge, Make A Scene! View from an angle to show the layers. For the bats, I attached them using a strip of acetate. I curled one of the acetate strip and attached the bat at the curled end, so it looks like the bat flying in front of the "Boo!" moon. The other one, I left it straight the way it is. Each of the DT member get to pick which set they want to work with, so you will really see variety of project from the Digital Doodle gals. Go check them out here and enjoy some inspiring eye candies. By the way, this weekend is World Card Making Day. Do you have any plan to celebrate it? I'm thinking about doing a a little contest or a card drive to make it more fun. Awhile back my mom has this suggestion of doing cards for the elderly. We have many elderly in nursing homes that are lonely & sometime forgotten. She thought it would be nice if we remember the elderly as well and not just kids (she knows I supported Cards For Kids). Would you join me if I do this theme? 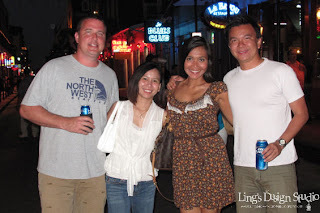 Today I am continuing my post about my trip to New Orleans. But, let me start with card first. That way for those who come here for cards, you don't have to go through the long story. :) Now, this card makes me happy. It's simple, but for me it seems to convey so much joy. I think whenever I used Lawn Fawn cute animal stamps, I can't help but smile. They're just so stinkin' cute! I just love the clean look of this card. Truly, sometime less is more, don't you think? Sigh... the smile on this seahorse & octopus, just so cute. 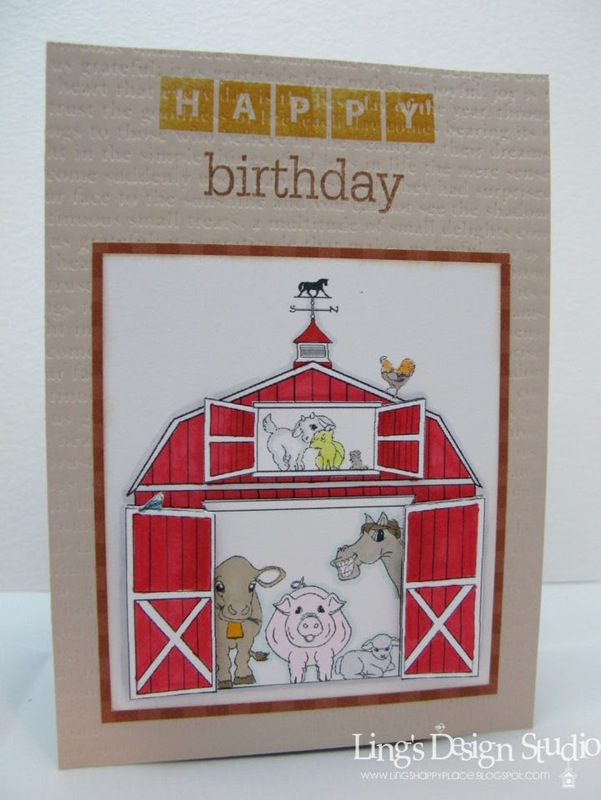 I am entering this card for Caardvarks clean & simple challenge. Now, continue about my trip. On our second day in New Orleans, we decided to skip the plantation tour and went with the swamp tour instead. We didn't make any reservation, so when we got there the boat of course already left and the next one is two hours later. 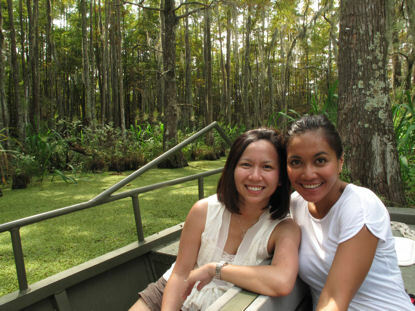 Lucky for us, one of the guy said we can do private boat tour which cost a few bucks extra, but we can have the boat all to ourselves. That turned out better as the guide was able to take us all the way to the back where the normal tour couldn't go. There's certain charm of the swamp and it's so quiet. You could hear the crickets & simply enjoy the calmness of the area. Whenever the boat stop, we always have bunch of dragonflies flying around. And look at this pic, I was so delighted to be able to capture its beauty. 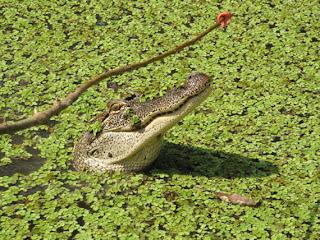 We didn't get to see the big alligator, only saw some of the small ones and that was fine by me. LOL, I was pretty nervous about seeing any big one being that close to the water. 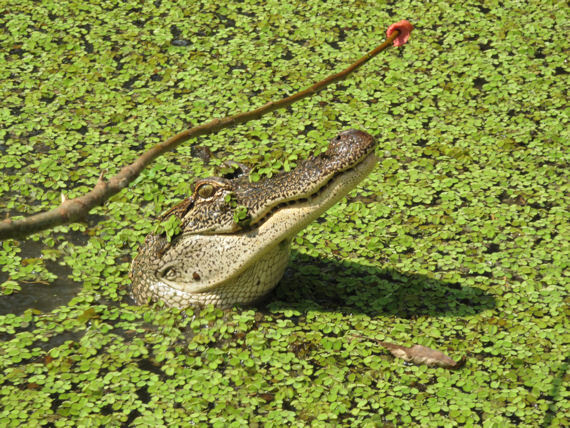 I was laughing nervously when the guide talked about floating device, I was like hmm... what good floating device if you're surrounded by alligators? Of course, we have to take pic of the people, too, right? Here's me and my brother's girlfriend, Denada. Isn't she gorgeous? The tour lasted about a couple hours and with the heat & humidity, it wiped us out. So, after lunch we decided to head back to the hotel to nap. 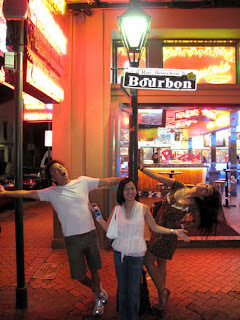 :) Then at night, we explore the Bourbon Street. Some of the views were pretty raunchy I can tell you that. And quite a few street performers. One of our nice pose. All in all it was a nice trip. The next day we head back home to Houston and again.... oh my goodness... the drive. Long & boring. Seriously there's nothing exciting or beautiful travelling through Texas. It's flat & no scenic view. Unlike when we travel in the West or East coast where the scenic view is gorgeous. My brother & his girlfriend were dozing off most of the time and hubby is keeping me company to make sure I stay awake. ﻿ When we pass the border, of course my brother & his girlfriend have to do their typical jumping picture in front of Welcome to Texas sign. I love this pic as it capture their fun personality. Minutes before heading out to the airport. I so treasure my time with them. Although, like I told my mom, sometime the short visit is harder, because the moment you see them, you already counting how many days you have left and dreading the time to say bye. Seeing my brother at such short time, makes me miss my family even more. It makes me realize even more how much I am missing. I know my life is here in the States, but sure wish that all my family is closer. Would love to be able to get together with them once a week instead of every few years. To my mom, Jeff, Gina, Jerry, & Dena I love you all & miss you all so very much. I pray that I will get to see you all again soon. To all of you who send me words of encouragement this past week, thank you so much for your thoughtfulness & kindness. Your support means so much to me. Thank you for everything. Hugs, Vera. Hi peeps! Happy Saturday. How about joining us at Wee Memories for a fun challenge? 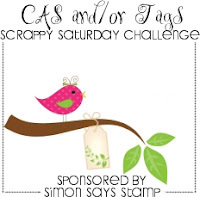 This week, we are sponsored by Simon Says Stamp and we're doing a blog hop! If you came here from JINNY then you're on the right track. If you miss any of the link, you can always go to Wee Memories and start from there. Our theme is to make CAS card and or use a tag if you'd like. 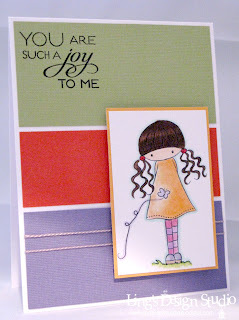 I used Papertrey Ink Just The Ticket set & die & the spiral note die. This card is super easy & quick. Love it when a card come together just like that! :) I am also entering this card for Caardvarks challenge. Sure hope you will join us on the fun and blog hopping as well! 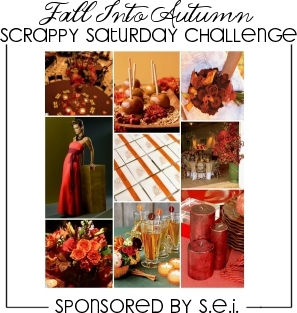 The winner of this challenge will receive $10 gift certificate from Simon Says Stamp. 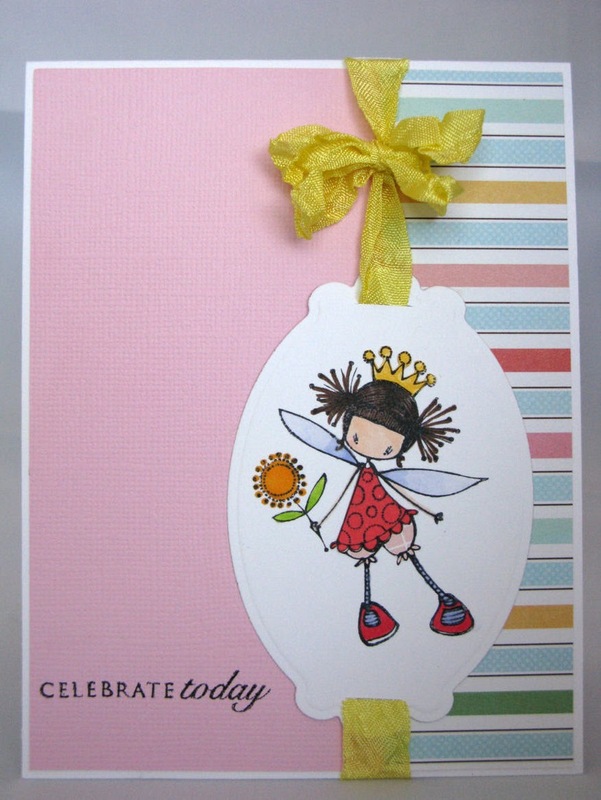 Check out Wee Memories for some fun inspirations from all the DT gals and to enter your card. From here, hop on over to SIMONE! Thank you all for stopping by and please leave a comment if you stop by here. I love reading your comments & appreciate each and everyone of them. Have a super duper blessed weekend! Today, I feel a bit more normal. Some good night sleep can do wonder to you, physically & mentally. :) I want to share story about my trip with my brother, but I know some of you come here for card. So, let me posted my card right now and have the story after the card. I don't think I shared this card here before. Can't quite remember and really don't feel like digging through my blog. LOL. Made this for magazine submission and it didn't make it. 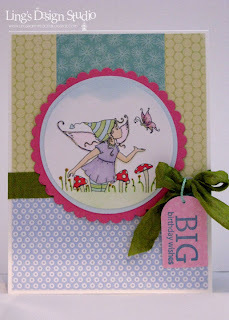 Using Ketto stamp from Stamping Bella and crinkled ribbon from Prairie Bird Boutique (Etsy). 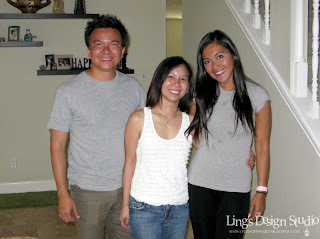 Now, on to story of my day with my brother &his girlfriend, Dena. I picked them up on Saturday afternoon and we went for late lunch at Pappadeaux restaurant. Then we chilled out at the house for a bit before dinner with my cousins. Of course, at home 1st thing I showed him is my Silhouette. Yep, if there's any guy who could appreciate what I am doing and all the cool gadgets, that would be him. Kind of fun to share about my stamping toys with him. Then, of course, as a good Ebay spokeperson (just kidding, although seriously, Ebay... you're welcome, I brought many new people to you), I shared with him the wonderful world of Ebay, then Priceline, etc. LOL, we sure did shared many discussion about online stuff. Next day, we drove to New Orleans. Oh my goodness..., what a long drive. We chatted most of the way, but it was such a loooong drive that a a couple time they nap as well. We arrived around 2pm and immediately start looking for food. 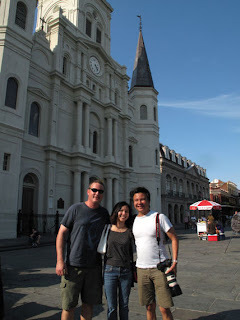 We had a yummy lunch at Gumbo Shop and then walked around the Jackson Square. I'm so glad that Jerry & Denada enjoyed their visit to New Orleans. They both think it's a lively city because of the people. Jerry was busy snapping pics left & right. I am nowhere close, but I do love this pic I took of the church. I don't have pics that he took, but you can see sample of his works on his blog here. Most of the time he posted in English, but sometime in Indoesian language as well. So glad, I get to know his girlfriend, Denada. She's a famous singer in Indonesia, but I am delighted to find out that she's so laid back and down to earth. No diva attitude at all. I should have known that of course, as my brother himself is such a laid back and happy go lucky person. They're simply so cute together and watching them, I can't help but smile and be so happy for them. Pretty much the 1st day we just walked around the city. At night, we went for dinner at Luke. Yummie. 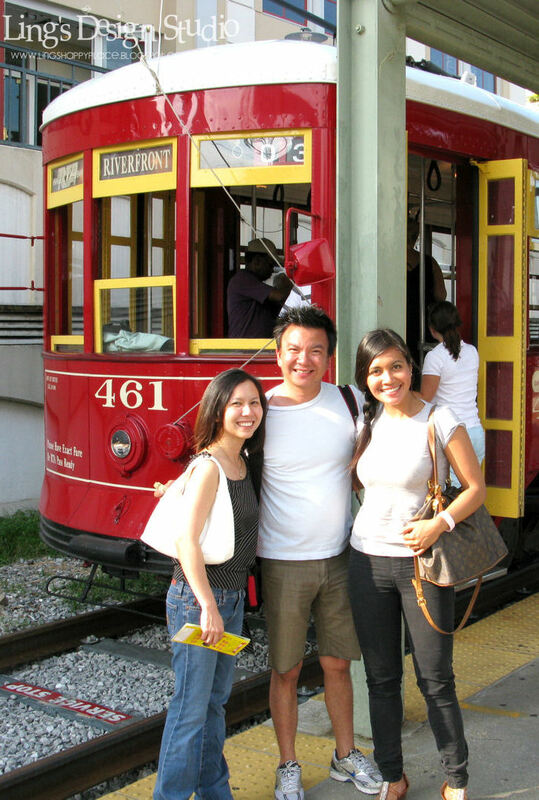 One thing for sure, there are lots of good food in New Orleans. I simply enjoy being﻿ with my brother. I just love him. I often joke that we're almost twins as we're only 11 months apart. We even used to celebrate our birthday together since we have the same circle of friends back then. I treasure my moments with my family so much. Hi peeps. I am back. The last few days been quite a ride for me. On one side I am so happy & grateful that I get to spend a few wonderful days with my brother & his girlfriend. They're both just so cute & adorable together! On the other hand, I got even more homesick. 4 days are just not enough for catching up when you haven't seen each other for a couple years. And trust me.... the water works were working over time!! I was crying my eyes out yesterday after dropping them off at the airport. I still not really feeling 100% myself, still a bit sad, so I will post about what we did and our trip when I feel more up to it. :) Right now, still trying to fight my sadness and get back in the swing of things. Hubby tried to cheer me up by getting a tiramisu cheesecake from Cheescake Factory. Thanks for the thoughtfulness, honey!! It helps a little, but I'm still a bit mopey. Yeah, when it comes to saying bye to my mom or my brothers, I become a cry baby. I tried not to, but it's really hard, cause I miss them like crazy. Next, is the tag I made for Digital Doodle. 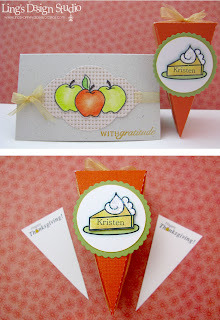 I used the pumpkin image from "Thankful" set and paper pieced the tag & added glitters. Check out here for all the DT amazing creations. Then, here's my card for Paper Play "Coffee & Cream" challenge sponsored by Phindy's. Create any project using these colors. At first, I was worried that it's going to be hard to make a card using these colors, but at the end, I ended up liking the colors. :) Makes the card looks a bit vintage in my opinion. You know me, I am not good at creating vintage look, but I do love the way this card turned out. 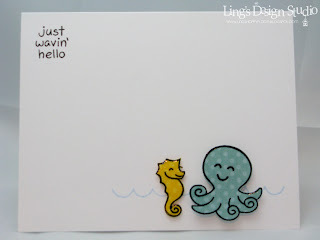 Last, but not least, is my card for Digi Doodle Shop's Best embossing challenge. 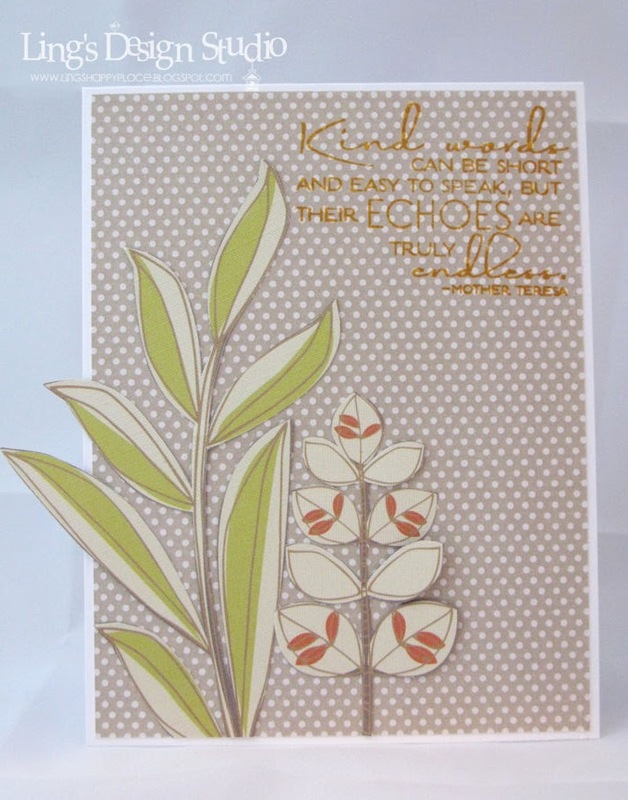 I used Papertrey Ink's impression plates to create the embossed background. I simply adore this mice & pumpkin image. I used them before, but I just love playing with it. I am hoping that I will get to catch up on everything by this weekend. Hope you can join us on these fun challenges! Thank you for stopping by. Hugs, Vera. Now, I am cleaning up the house and getting ready to pick up my brother from the airport. I AM SOOO EXCITED!! Can you tell?? LOL. OK, on to Wee Memories challenge called "SOS". Scallop, orange, string. Create any project using 2 of the 3 requirement. I chose orange & string. This week we are sponsored by YOUR NEXT STAMP. Make sure to check out Wee Memories for challenge, prize details, and of course some yummy inspirations from the talented DT girls. I used this image from Clip Arts & Scrap for MyGrafico. Love the simple design of the girl. I feel like a yoyo with my health lately. One day good, next day could be crappity crap. I am usually very healthy and rarely get sick. This past year been very frustrating for me to be sick a lot. I usually try not to talk about being sick a lot on my blog. But this past couple week, it's been quite a struggle for me as I just don't feel quite 100% well. Every time I think ooh... I am much better, bam... it happen again. I have doctor appointment today and will get some test done. Hopefully they can tell me something!! Anyway, last night, the super sweet Trinh, sent me an email that totally made my day better. Thank you, Trinh! She emailed me to congratulate me for having this card on the first page of CARDS blog. And, I didn't even know. I thought the post usually go on Friday, so totally wasn't expecting it. This is the 2nd time my card get picked by CARDS. Love happy news. 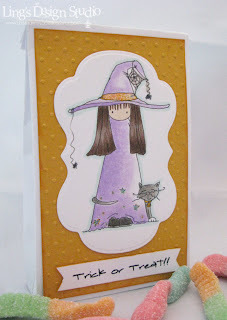 And, I did managed to complete this card for my DT work for Mami Doodles challenge. 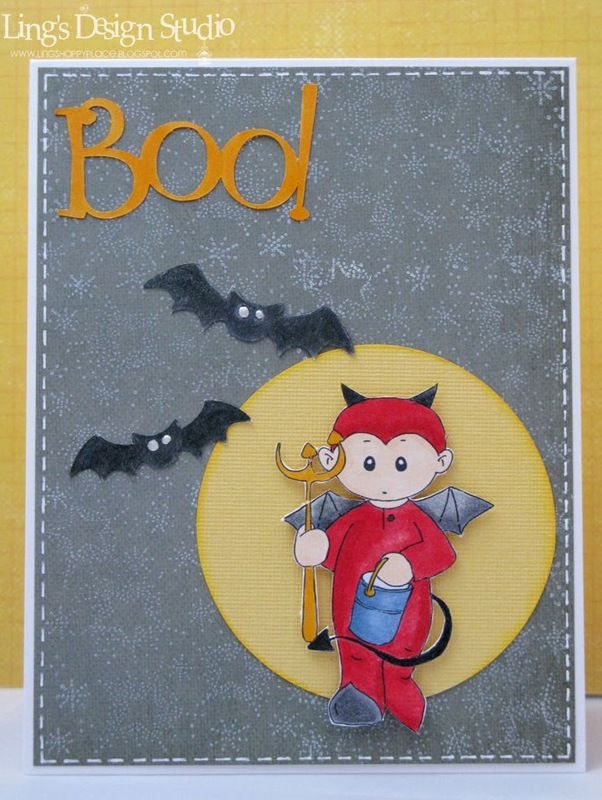 This time the theme is to make "Boy card with the color red". When I saw this Li'l Devil, I thought he's so cute! I cut out the image & popped it on yellow circle carstock, so it looks like he walks during the full moon. Cut the bats & sentiment using Silhouette. 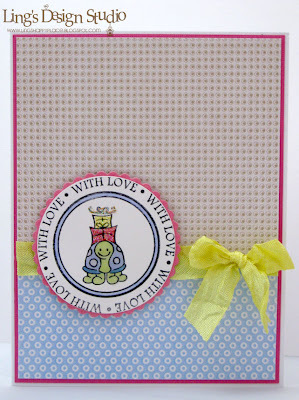 For the background I used my oldie stars stamp. 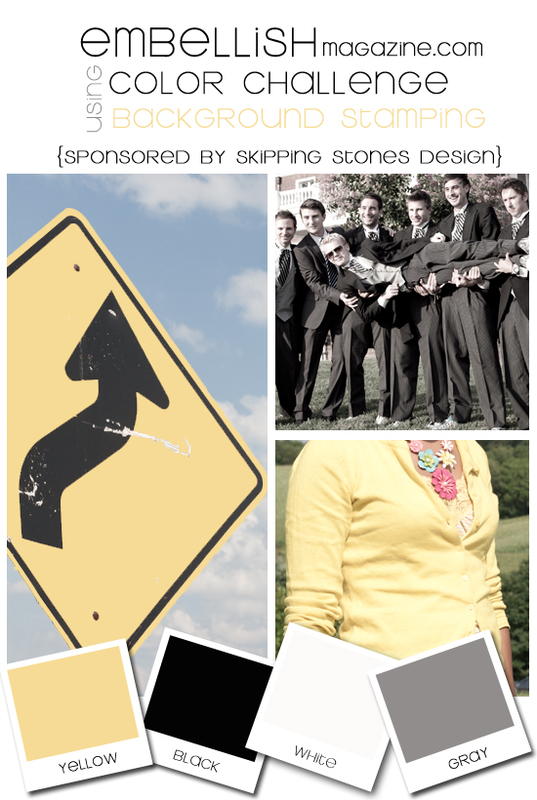 Check out Mami Doodle blog for challenge, prize detail, & inspirations from the other DT member. And, tomorrow, my brother will be here!! 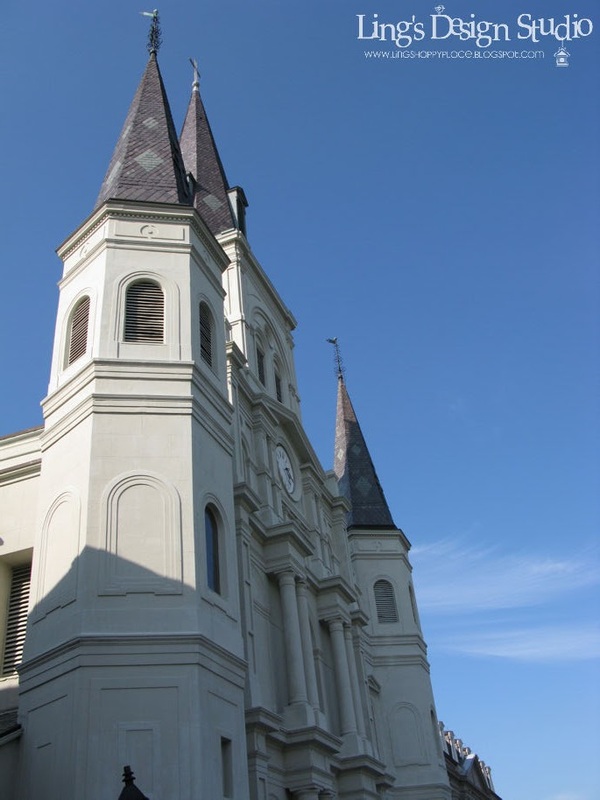 We're planning a road trip to New Orleans for a couple days and I am simply looking forward for some down time & enjoying my brother's company. I am so glad he's coming, as you remember I was feeling homesick a couple weeks ago. His visit is much needed for me. Will posted about our trip sometime next week after we come back. Have a great Friday and join us on this fun Mami Doodles challenge! Also, quick reminder, you have till midnight tonight to enter Wee Memories "Fall Into Autumn" challenge. Thanks for stopping by peeps. Hugs, Vera. Is it just me or it seems like more and more company come out with many amazing stamps. Seems like each month there are so many tempting new releases. I've been fighting the temptation. Although, I didn't do so well with the digi ones. LOL, with digi image my arguement would be, oh it's only a few bucks, except I always ended up with more than just 1 image. On purpose, I didn't check how many digis I got this past month. Nope, don't want to know. Okay, let's move on, shall we. This week, it's my week off from Paper Play, but they do have fun challenges this week that you can check out here. And at Digi Doodle Shop's Best it's "ANYTHING GOES". Not only that, Judy generously offer a few freebies for you to use. Check out the challenge blog for challenge & prize detail. Here's my card using one of the freebie. I love the colors of fall. Too bad in Texas, well at least my area, we don't get to experience the full effect of leaves changing colors. Seems like here it just change from green to brown. Blahh... nothing exciting or pretty. LOL, I told hubby one of this say we need to make a trip to Boston or Maine or any area that truly have beautiful fall season. I hope you can join us for this fun challenges. Thanks for stopping by. Hugs, Vera. Hi peeps. Welcome to DeNami Cuddly Critters Blog Hop. This is my 2nd post for today. For MyGrafico post please scroll down. 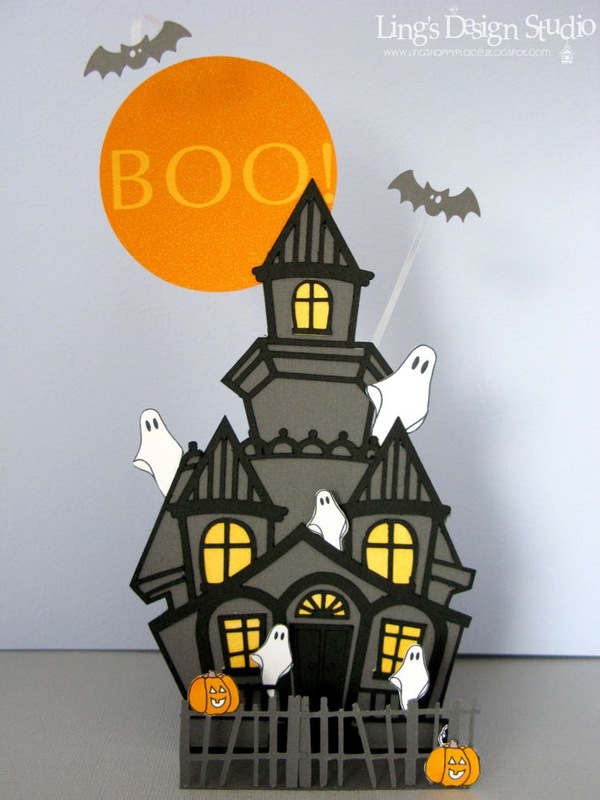 I am so excited to join DeNami blog hop! DeNami has the cutest stamps and I was glad to find out more about them at the summer CHA. 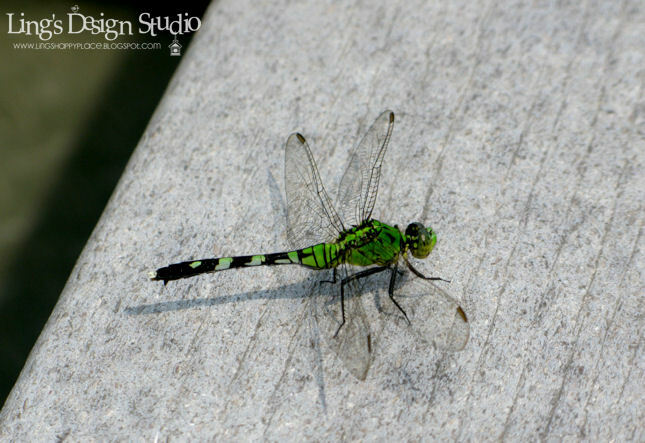 If you come here from the sweet & talented Sherri Thompson blog then you're on the right track. If you miss any link, simply go to DeNami blog to see all the links. All stamps I used on this card are from DeNami. 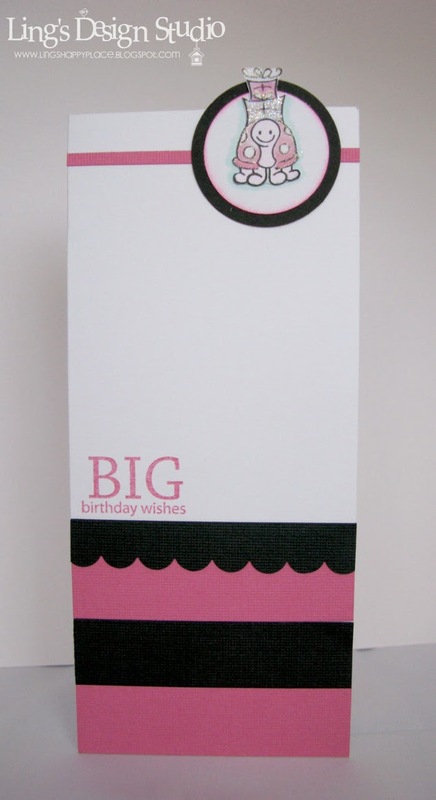 The patterned paper are Chic Vera digi paper set from Woofy World at MyGrafico. I really should have bought more DeNami stamps back at CHA. I don't know how long I was browsing at their booth, but it was long, simply because I couldn't make up my mind of what I want to buy right away and what can wait. Looking at the cute puppy & bunny on the blog hop logo, make me wish I had gotten that set. LOL, I did hold it for the longest time before decided to go with the turtle & penguins one. When we were kids, we played together all the time. I mean we're only 11 months apart, so naturally we did lots of things together. At first, when I found out this week challenge for MyGrafico to use some metal and the DT have to use Western theme digi paper & sentiment, I was stumped. This is so not my style. Then I googled for cowboy/cowgirl image to use and I found this cute image that totally reminded me of me and my brother. There's even picture of us dressing up in our cowboy/cowgirl outfit. I don't have any metal to work with, so I used the aluminium foil as my metal part. For me, it seems like a vintage card. What do you think? This is totally out of my comfort zone for me. Check out MyGrafico challenge blog for challenge & prize detail. I am also entering this card for Cinema Saturday "High Noon" challenge. I'll have 2 post for today. My second post would be for DeNami Blog Hop. Hope you'll come & checking it out, too. Cheers. I am relief to find out that my pug, Ollie get to keep her eye. After a hefty vet bill, they said she should be okay and gave her a couple more prescription on top of what the emergency vet gave her. My goodness, at least with human we can get generic prescription, no such thing for pet. I thought since we already took her to the emergency care, the regular vet visit would cost less. Hmm... no. It was more. Oh well, I had a heart to heart talk with my Sheltie, Nick that he should know better that he's bigger than Ollie and shouldn't be so rough with her. I was like, Nick do you know how much stamps mommy could buy with the vet bill?? LOL. I was like if you going to bicker with one another, do it on weekday, not on weekend, so no emergency vet visit. Even better, don't fight. Sigh... my fur babies, they drive me crazy sometime, but most importantly they bring so much love & joy into our life. Okay, enough with doggies report. Today, I get to share with you my very first assignment for Digital Doodle using the new "Thankful" set. 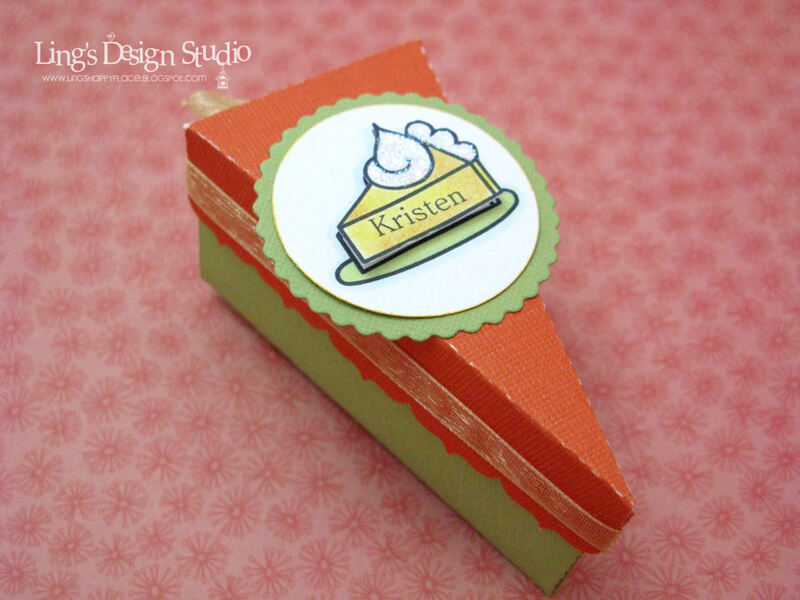 I made a place card box and a fun mini card. The box function as place card and as container. I decorate the box with the pie image layered on scallop circle. Layered the pie twice for extra dimension and the whip topping is covered with yummy glitters. Inside the box are a bunch of printed banner with the words "Happy Thanksgiving" on top. The idea is everybody get to write things they're thankful for and then I can use it as banners for my Thanksgiving layout. Another idea would be we write things that we're thankful for for each family member and then we exchange the banner with each other. For example, I'll write why I am thankful for my MIL, FIL, etc., they do the same about me & other family member, then we exchange banners, that way when we're done we each will have a box full of banner list of things that make us special to other. Often we take family member for granted and this would be a great way to take the time to show our appreciation. What do you think?? Edited to add: this pic showing the pie box from different angle. 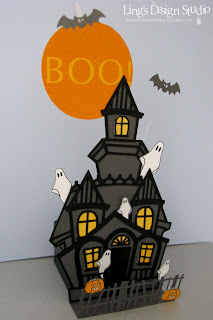 Check out Kathy's blog for all the creative samples that the DT came up with. You will find many inspirations. Thank you all for stopping and for all your lovely comments. Reading your comments truly brighten my day and I appreciate your kindness. Hugs, Vera. My weekend start with me being very productive around the house. I put mulch on all the flower beds in front of the house, which was big accomplishment for me. I really don't do gardening related stuff. I am not known for my green thumb. Finish painting the bathroom although hubby did most of them. Cleaned up my old car, got it all nice & clean for sale. Then, come Sunday... Started with my two grumpy four-legged girl & boy got into a fight early in the morning. Don't know what happened, probably one accidentally step on the other or what, they just went off. And you saw my pug, Ollie, she's a small dog and Nick is a sheltie, double her size. But, my girl sure doesn't know or care that she's smaller. Even after I get hold of her, she's still growling & trying to get to Nick, while she's the one who has injury. At first, her eye looks okay, just a bit swollen on the outside. But, I kept watching her throughout the day. By late afternoon, her eye all cloudy, and there we went to the emergency care. For me, my dogs are more like my kids. Seeing her hurt is stressfull for me. Needless to say we spent our whole evening at the vet, stress out, and not have much of a good night sleep as she was wimpering. Today, we have to take her for follow up at our own regular vet. I really don't have any card made for today's post. But, I found a card that I made a couple months ago and I don't think I ever post it. Clean & simple card. Sorry, no bubbly post from me today. I'll feel better once I know more about Ollie tonight. I know you come here for card & cheerful post, but I also like to keep my blog honest about my everyday life. Can't be cheerful 100% of the time, right? :) Okie dokie, gotta go, still lots of things to do. Thank you all for stopping by. Hope your week starts out great! Hugs, Vera. Hi peeps... happy Saturday to you all. I wish we have another long weekend as I have tons of things to do. Quick & short post for today, so I can tackle all... hmm... make it most of the items on my to do list. Create any project inspired by this pic. For my card, I simply pick the orange color to add that fall warmth to the design.Since this week we're sponsored by SEI, I used SEI patterned paper to make this card. Those leaves are from SEI "Dill Blossom" paper set. I simply cut a couple leaves from the paper and use it as the main image for my card. I hope you can join us and play along. Don't forget to check all the DT awesome cards at Wee Memories for more inspirations. Have a super duper blessed Saturday. And in memory of 9/11 please take the time to pray for world peace and may people can be more tolerant to one another. Be more open minded to accept each other difference whether it's race, religions, beliefs, etc. Simply be kind to one another. Cheers! Today, I have a couple fun cards. I call them fun cards 'cause I had so much fun making them. I haven't play the Caardvarks challenge for awhile. But, when I saw their current sketch, I knew I want to play along. I combine it with DeNami and Play Date Cafe color challenge, which is to use pink, black, and white. The card itself is a long card, which I really dig the look. Note to self: must do this type of card more often. When hubby looked at this card, that's the first thing he commented on, the size of the card. I am really happy with the way this card turn out. The pink, black, and white combo is so striking and that turtle.. me lovey. I love turtle. I have many turtles collection. From stuff animal to figurine to key chain, I have it. :) In Chinese & Budhism turtle symbolize longevity & wisdom. Besides that, for me, turtle also somehow reminds me of calmness, grace and it simply makes me happy when I see them. Next, is my card using Mojo Monday sketch and Lilybean fairy from Pollycrafts that I also enter for Fab 'n Funky anything goes challenge. This is one of my favorite digi stamp. The background patterned paper (except the teal one) is from Woofy World "Chic Vera" set. Of course, I have to have it since it's so pretty and hey... it has my name. LOL. How can I resist?? I have this patterned paper printed several times ready to be used for future projects. And that olive wrinkly ribbon is part of the ribbon sets from PrairieBirdBoutique that I won from Paulina Pretty Pink Posh ribbon giveaway last month. I didn't quite get it what the fuss all about wrinkly ribbon, until I try this one. LOVE it big time! I can't believe it when this ribbon thread in smoothly into the teeny tiny hole in the small tag here. I ended up not using it that way, but I was impress that it went through that tiny hole & I easily pulled it back out with no damage to the tag whatsoever. I hope you like both cards. I am slowly gathering some stuff for a giveaway and I think I'll be ready to post it by next week. So, keep checking back. Enjoy your Friday and thank you all for stopping by. Hugs, Vera. 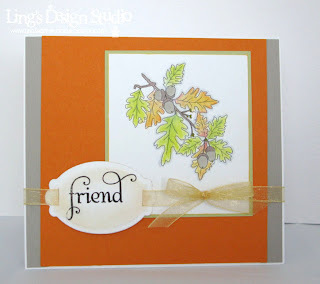 Fist up is my card for Paper Play Autumn is comin' challenge sponsored by Simon Say Stamp. For all the details & prize information, check it out here. 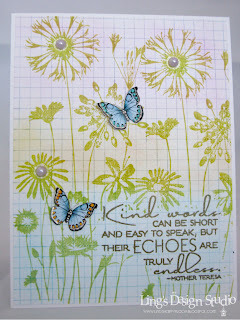 All the stamps that I used here are from Hero Arts, except for the sentiment, which is from Verve Stamps. 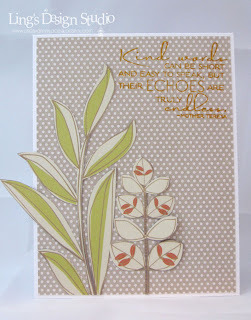 When it comes to sentiment, Verve stamps does have some of the best sentiments & style in my opinion. I love this saying. 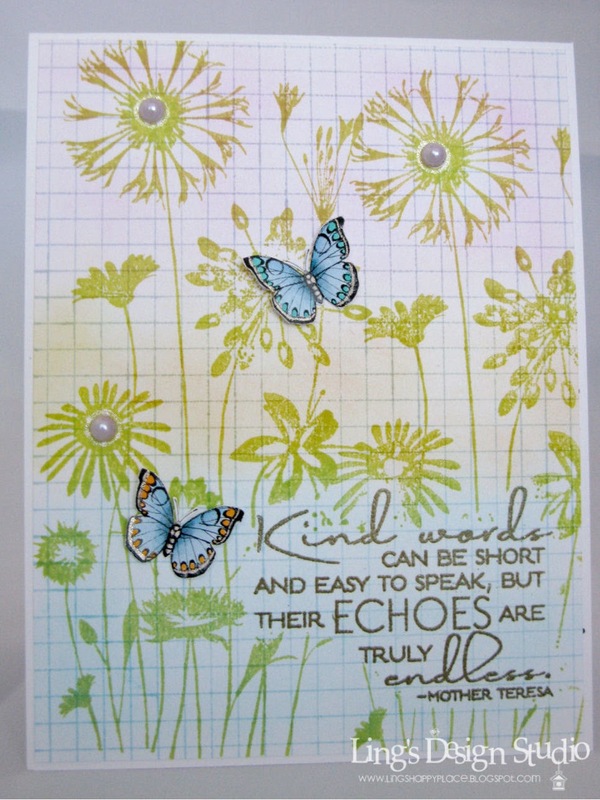 I always admired Mother Teresa and pretty much as soon as I saw this, I know I have to have it right away. It's such a powerful words. 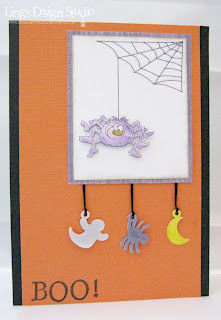 Second is my card for Digi Doodle Shop's Best "Charm" challenge. Isn't this spider just too cute? I love that his eyes all goofy looking. I cut & layered the spider twice for extra dimension. 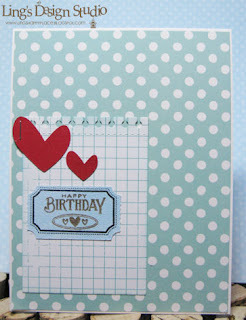 Forgot to take picture from the side to show the layers & I already gave this card to my SIL. I don't have charms handy in my stash, so I created my own charms using my always reliable Silhouette. I hanged all 3 charms on black thread. I really love how fun this card looks. Likey the spider? You can get it here. And for details on the challenge please go here. Also just a reminder, you have till Friday midnight to enter Wee Memories "Wee Ones" challenge. So happy it's already Thursday and only 9 more days till I see my brother!! So, so excited & looking forward to spending some time with him. That's it for today, peep! Have a blessed day! Hugs, Vera. Yesterday was not a good day at all for me or hubby. We were both sick, but for different things. Hubby was up all night, throwing up, so he felt yucky when it was time to go to work. And he has slight fever & ligh headed. I was fine, then on the way to work, I started to feel my stomach cramping. I thought must be that time of the month. Wrong. By the time I got to the office, I felt like crawling. I asked my coworker for a pain medicine. Well, the pain was so severe that just drinking water was enough to make me empty my stomach. Nuff said. My coworker made me lay down at one of the office that has a couch and she emailed my bosses & husband to tell them I was sick as a dog and hubby needs to pick me up. I was telling hubby, what a pair we are. In sickness & health together, alright, just wish it's not at the same time. Sigh.... Went to the doctor, they couldn't really tell me what's wrong. So, we'll see. I sure hope the cramp won't come back. Not often I ever have the thought geez, pass out seems like a good idea rather than dealing with the intense pain. Then my rational part of the brain, well, if you passed out there's a chance you might bust your head or crack you teeth, so better stay focus and don't pass out. Yeah, basically I argued with myself. LOL, I can be nuts sometime. Anyhoo..., that's the reason I didn't have anything posted yesterday. All I did was laid on the sofa curled up with the babies. Today, I have card for MyGrafico challenge that luckily I finished last week. This week it's "Beach theme". For details on the challenge please check out MyGrafico challenge blog. Thank you for stopping by and I sure hope I'll get back on the swing of things again. Hugs, Vera. Aaahh.... I am so enjoying this day off. My first thought when I woke up this morning was, yay, I can sleep in a bit. Gotta love that feeling when you can just enjoy the day. 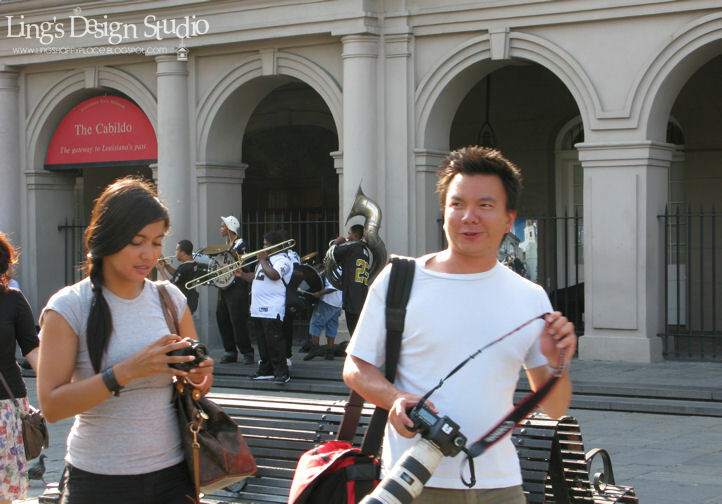 Yesterday, I finally get to meet my blog & Hero Arts Flickr friend Trinh. She ordered a bunch of Papertrey Ink stuff when I went to CHA and she said she'll pick it up from me in person so we get to meet. Of course I said yes! She brought her daughter along & I recognized her immediately. She's so lovely & tiny. I am so, so happy to finally meet her! 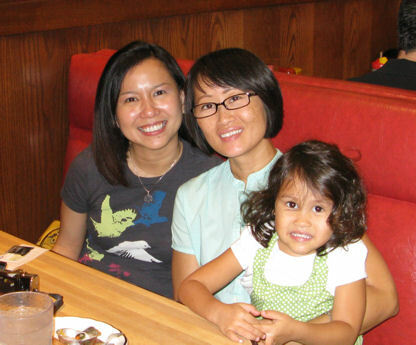 We went to lunch at Kenny & Ziggy by the Galleria in Houston and just chat. I had so much fun getting to know her. I am hoping to be able to meet up with her again sometime soon & hopefully do some crafting together. 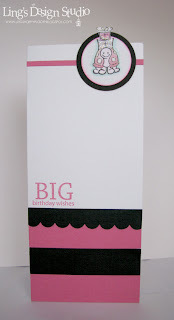 Trinh, I am looking forward to all the cards that you're going to make with your new Papertrey Ink goodies!! And I can't wait to hang out with you again! OK, on to my card. 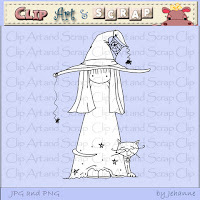 Here's my card using Meljen's digi stamp for their stripe challenge. Okie dokie, that's it for today. Enjoy your labor day!! Hugs, Vera.